I’ve finaly got around to taking some photos of a few cards that I have made when it wasn’t as hot!! I’m getting in early for my sister-in-laws birthday in March. 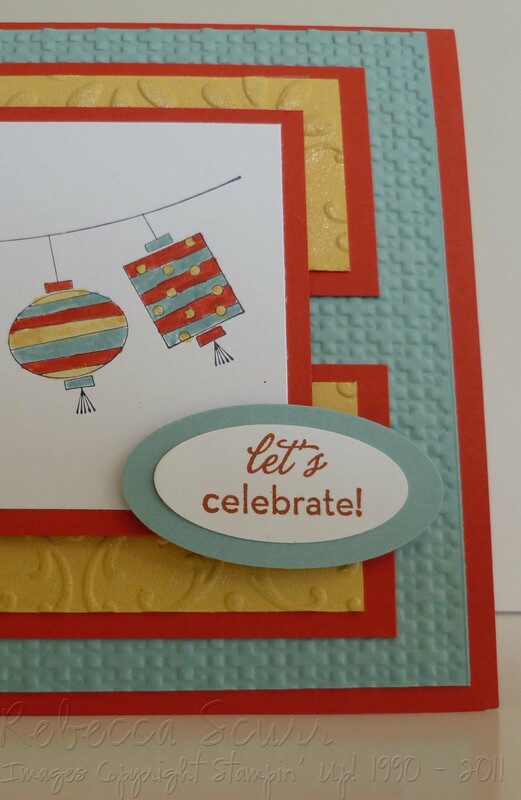 She loves all things asian so here is a card from the Kimino Kids Stamp Set which I cased from here. Here’s a photo of the detail of the embossing. 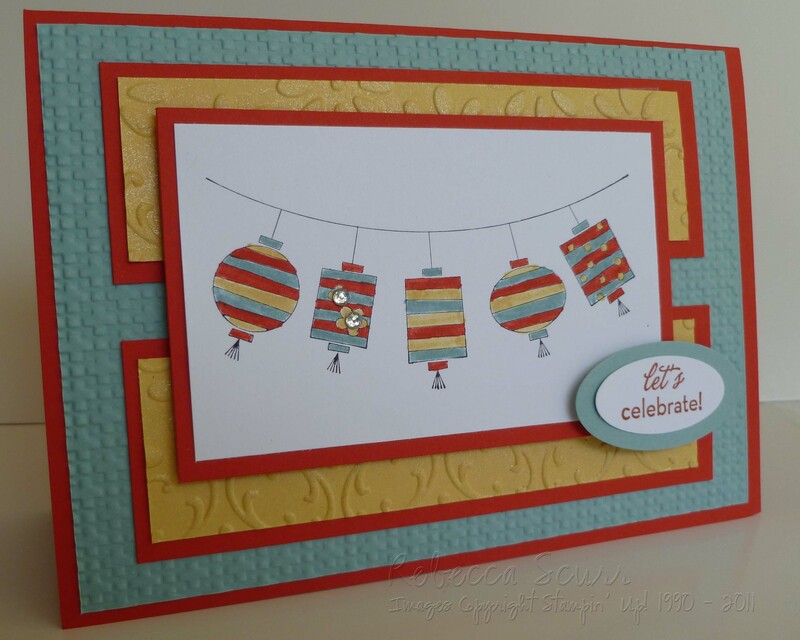 I’ve also been playing with the new Sale-a-bration stamp sets. I really love Punch Bunch as it goes with all the punches (funny that!!) Here’s one that I cased from here but I turned it around a bit. 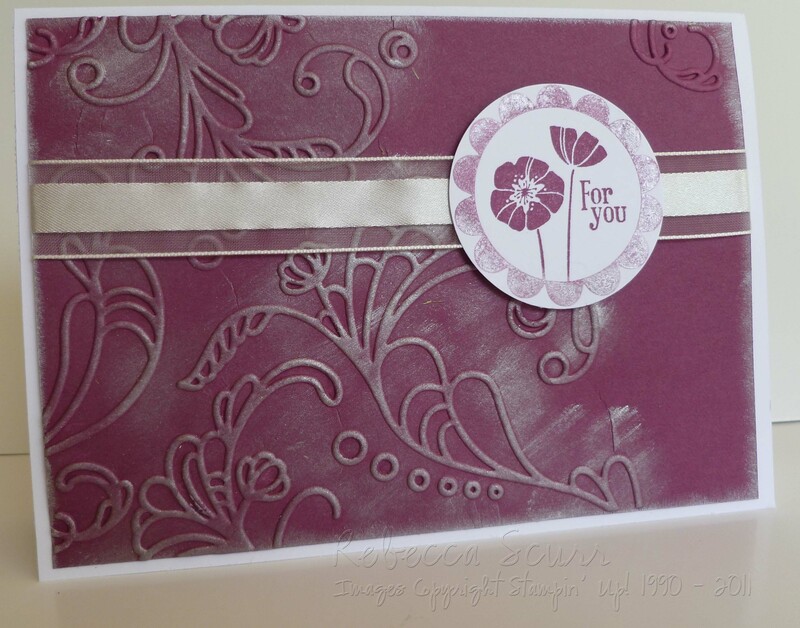 I inked up the stamp and then sponged around the edges with the platinum shimmer paint before stamping on the cardstock. The photo doesn’t really do it justice but it looks great!! and collect your blog award, I’d be more than chuffed. Love the cards you have posted. They are so very different from each other and the colour combination is great.